The demands placed on daily office work are a challenge for manufacturers of modern office swivel chairs. Comfort, ergonomics, design: Modern examples make use of the latest technology and the latest findings in the field of seating. Renowned designers and architects integrate these technologies into first-class designs and combine appearance and functionality to create outstanding office swivel chairs. Users appreciate the flexibility that an office swivel chair offers in everyday working life. This makes it all the more important that manufacturers focus on the quality of materials and processing in order to be able to offer long-term solutions with sustainable products. To reduce fatigue and maintain concentration, manufacturers have developed office swivel chairs that provide indispensable workplace support through the use of special materials, ingenious ergonomic functions and functional design. Long periods of sitting during the working day mean increased strain on the back. The right office swivel chair minimises stress and promotes healthy sitting. The components of the office swivel chairs provide more dynamics and movement at work. They ensure that the chair adapts to the user's movement, promotes relaxation and minimises fatigue. The interaction of backrest, armrests, seat, materials and functions is implemented by renowned manufacturers with a great deal of experience and expertise. With the large design variety, you can be sure that you will find the right model for your requirements. We would be pleased to support you in this. Give us a call! The numerous adjustment possibilities of the office swivel chairs also allow sitting positions in which it is particularly important that the chair does not tip over and stands securely at all times. High-quality materials combined with first-class workmanship and safe dimensions guarantee a stable fit in every situation. With the combination of high-quality materials, the best workmanship and know-how, the office swivel chairs are optimally designed for a long life, and this makes them not only reliable companions in everyday working life, but also sustainable and environmentally friendly furniture. The right office swivel chair must suit the user and his work task and integrate into the office situation. The versatility of requirements makes individualization and configurability indispensable. Here in the shop you will find office swivel chairs that can be adapted to your individual needs in function, equipment and appearance. We would be happy to advise you personally and recommend a selection of office swivel chairs to suit your individual requirements. Swivel office chair MedaPal by vitra. Successful combination of intelligent technology, ease of use and high seating comfort. Vitra office chair Physix, one-piece shell, using a fabric is clamped between two lateral beams. Discover now and order online. The Vitra HeadLine office swivel chair, Design: Mario & Claudio Bellini. Available in many configurations and with optional attachments. Order now online in the pro office shop. The Aluminium Chair EA 107 / EA 108 by Vitra in leather (Charles & Ray Eames, 1958), 830 × 580 × 590 mm. Order now in the pro office shop. The Vitra HeadLine Management Chair is crafted in fine leather – designed by Mario & Claudio Bellini. Order now in the pro office online Shop. Aluminium Chair EA 105 by Vitra (Charles & Ray Eames, 1958) with fabric / mesh, 830 × 525 × 590 mm. Order now in the pro office online shop. Vitra EA 119 aluminium chair by Charles & Ray Eames, finest Leather, high backrest. Order now in the pro office online shop. Vitra swivel chair EA 216. Very comfortable even over long periods of sitting. Suitable for lounges, lobbies, waiting areas and many more. Vitra Office chair EA 117 Aluminium Chair Leather, 830-950 x 580 x 565-650 mm Charles & Ray Eames. Order now in the pro office online shop. The Aluminium Chair EA 107 / EA 108 by Vitra fabric or mesh (Charles & Ray Eames, 1958), 830 × 580 × 590 mm. Order now in the pro office online shop. Vitra AC 5 Work. Uncompromising functionality and elegant design. Excellent for the upscale office furniture. Now configure and order. Vitra Office chair EA 117, Aluminium Chair with medium backrest in fabric covering, 830-950 x 580 x 565-650 mm. Vitra ID Trim L office swivel chair - leather -. Brandnew Vitra original. 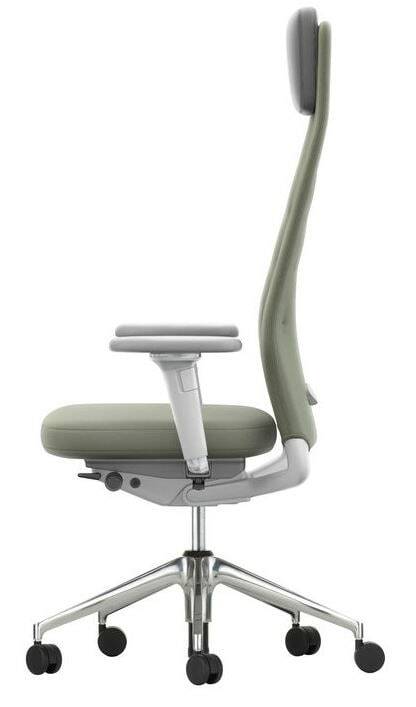 Order your personal Vitra ID Trim swivel chair directly online in the pro office shop. Dynamic sitting and plenty of freedom of movement. The AC 5 "Studio" by Vitra convinces even with frequent user changes. ➤ Order now. The AC 5 with low backrest. The freedom of movement allows several seating positions. ➤Order now at pro office. First-class comfort, even over longer periods. The Vitra AC 5 "Meet" for traditional and modern conference areas. 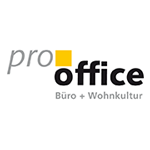 ➤ Order at pro office. Flexible and uncomplicated. The Vitra AC 5 Swift with practical wheels. Perfect for modern team center environments. ➤ Order now online. Vitra PACC with swivel function, castors and seat depth adjustment. Vitra Eames original. Configure your desired model now and order directly online. Vitra PSCC Eames Plastic Side Chair. Practical castors, height adjustment, rotatable. Configure your desired model now and order online.